When I came across this product I thought for sure its worth a try and comparison to the real Ben Nye deal. ….and was I right? yep! W7 is a relatively unknown brand, but when I came across a shop that stocked lots of it it became apparent they dine out on ‘dupes’…especially many with ‘benefit’ type packaging. This product cost around £5 from different outlets, and worth that amount. The colour is nearly the same as Ben Nye, the texture is very fine milled and offers a great velvet finish. 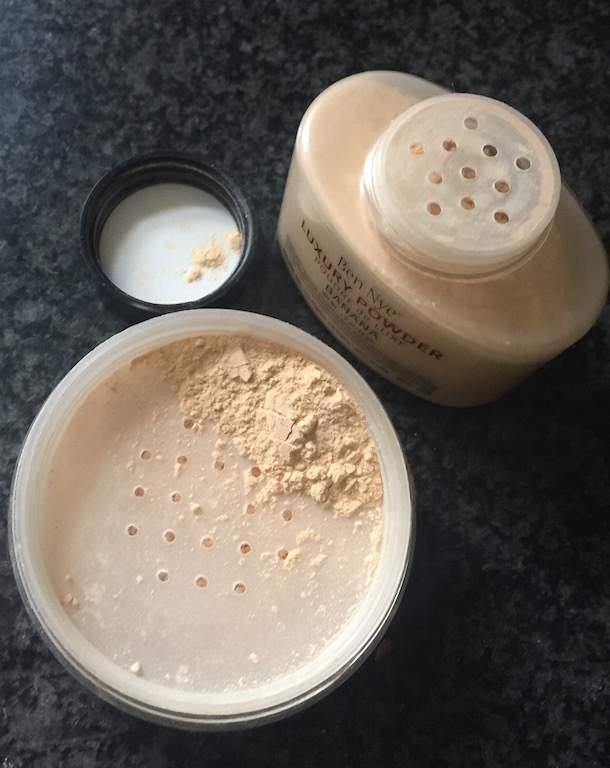 Th only difference is I feel if you apply this in a ‘baking’ style to the face, i.e with a beauty blender you have to use a little bit more than the Ben Nye Banana powder. if your using with a brush this product will last a long time. 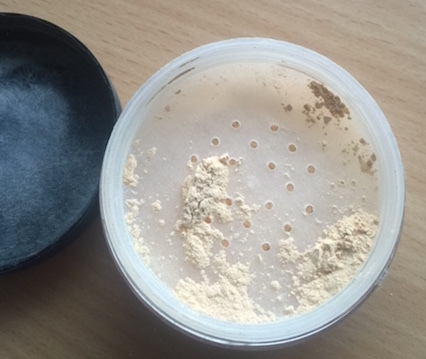 It’s 20g which is a normal powder amount, where Ben Nye is around £16.00 for 46g from Love makeup in the UK, which when you look at it like that – only works out a little bit more expensive gram for gram, and you use much less Ben Nye. 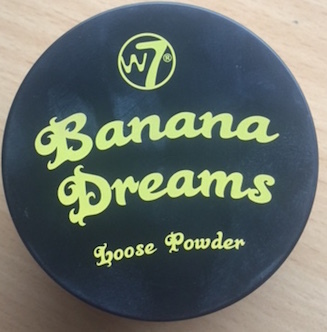 However if you want to try yellow toned powder, this is definitely worth a try! 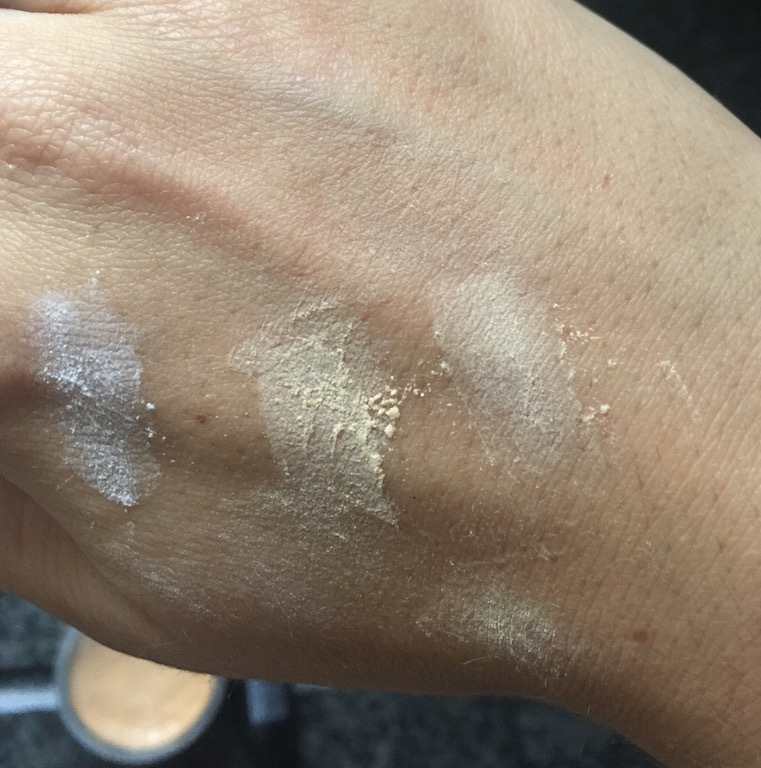 w7 banana dreams swatch, left to right Blended to pure.